This article is about the blue variant of the Lava Bubble. For the blue fire enemy in the Paper Mario series, see Ember. For the similar looking ice enemies, see Li'l Brr. The blue variant of the Lava Bubble first appears in Super Princess Peach. In Super Princess Peach, blue Lava Bubbles appear in Bowser's Villa. They jump out of blue lava and follow Princess Peach. They can be defeated if they touch a cup. Like Beach Koopas, Blindfold Boos, and Security Thwomps, they do not appear in the in-game glossary. Blue Lava Bubbles from Super Mario Galaxy. These Lava Bubbles reappear in Super Mario Galaxy. They resemble Li'l Brrs, but are fiery instead of icy. The only way to defeat them is to shoot Star Bits at them, and they release one coin. Blue Lava Bubbles are first encountered in Good Egg Galaxy during King Kaliente's battle. King Kaliente, after taking a second hit, summons several of them. The blue Lava Bubbles bounce and follow Mario, which can burn him and potentially disrupt his returning coconuts at King Kaliente. King Kaliente also spawns these blue Lava Bubbles during a rematch in King Kaliente's Spicy Return in Bowser Jr.'s Lava Reactor, although these enemies are found in the level prior to the fight. Finally, the blue Lava Bubbles appear in the Melty Molten Galaxy, guarding a Silver Star in Burning Tide and guarding Star Chips in Through the Meteor Storm. 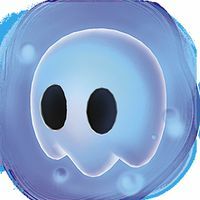 Blue Lava Bubbles reappear in Super Mario Galaxy 2 in the Boss Blitz Galaxy, where King Kaliente spawns them in battle. Blue Lava Bubbles from Super Mario 3D World. 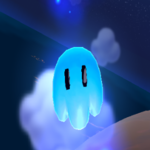 Blue Lava Bubbles in Super Mario 3D World, act as their red counterparts, jumping from the lava at set intervals and patterns and are found only in stages with blue lava such as Fort Fire Bros.
↑ Black, Fletcher. Super Mario Galaxy PRIMA Official Game Guide, page 57. ↑ Musa, Alexander, and Geson Hatchett. 2013. Super Mario 3D World Prima Official Game Guide, page 24. ↑ Shogakukan. 2015. Super Mario Bros. Hyakka: Nintendo Kōshiki Guidebook, pages 128 and 227. This page was last edited on April 17, 2019, at 03:51.